Here's a glimpse of a quarter. All right here are four tracks and a glimpse off the new CD. Please make note that these four tacks have not yet been tweaked or mastered and this is only a quarter of the music. This is the first phase of mixing and I already hear couple of things that need attention. All I Dreamed To Do: Took the most time mixing that day... Bring out the backing vocals and effects on lower voice over dubs with main vocal tracks. Just paying attention to details. The rhythms guitars are the main focus on this song... Solos were short and sweet and bass and drums are thunderous. This tunes is an all out Rock N' Roll song. 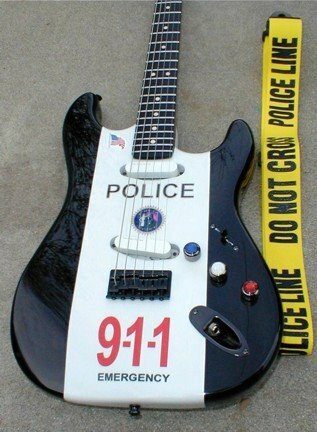 Manic Depression: This one has one track guitar with noise and all. Drum feature here!! This has the Hendrix vibe with The Killing Floor signature sound all over. Grit with lots of twang and feedback sustains notes. Long Live Jimi!!! This one took about five hours to mix... There's soo many instrument tracks going on here. Backing vocals by Dave and Larry are superb... What took time here was EQing and balancing the right mix for the backing vocals without sounding too brassy. On another note... Live, this is one of the few songs that I do use heavy delay. So finding the right delay repeats value to match what I do live took some time also. This one I hold very dear to my heart. This is the sad and very dark ballet track. There lots of guitars going back and forth on this instrumental. 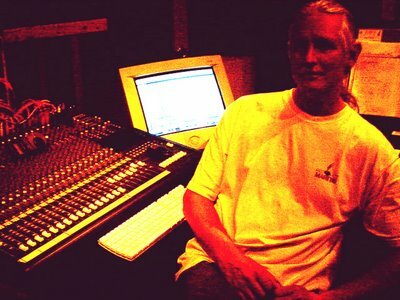 It was a blast to mix. I never intended to add this tune to the CD but now I'm glad that we did. We very rarely performed this number live because we have other tunes in the key of E that we jam and improvised all over the place. (4-13-06) (10:00am - ??) Mixing TOMORROW! Don't forget! 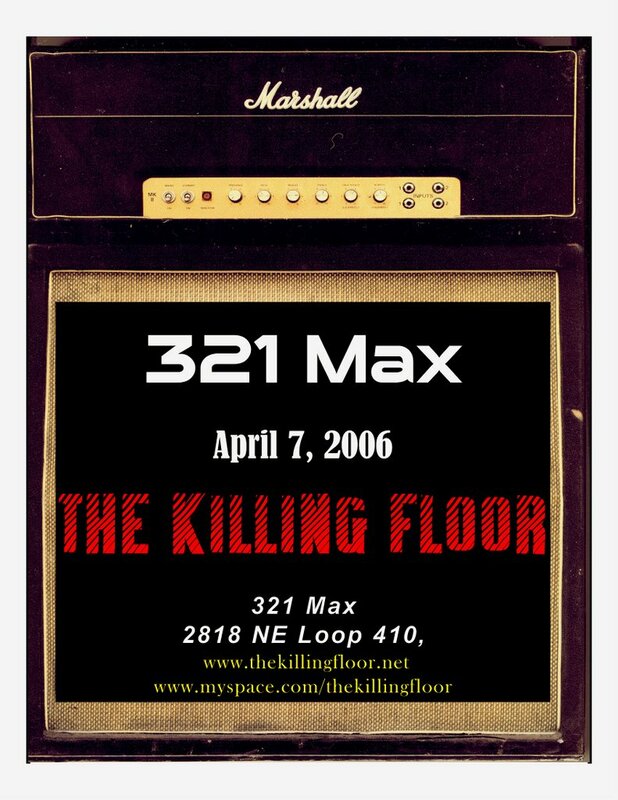 SA Rocks Anniversary Party Friday April 28th at the Elbow Room on Austin Hwy starting at 9:00pm with live blues and rock from The Killing Floor and Texas Special! Lead singer & guitarist for The Killing Floor. Also your contributor here. This space is all about you... Show the world your beautiful self. 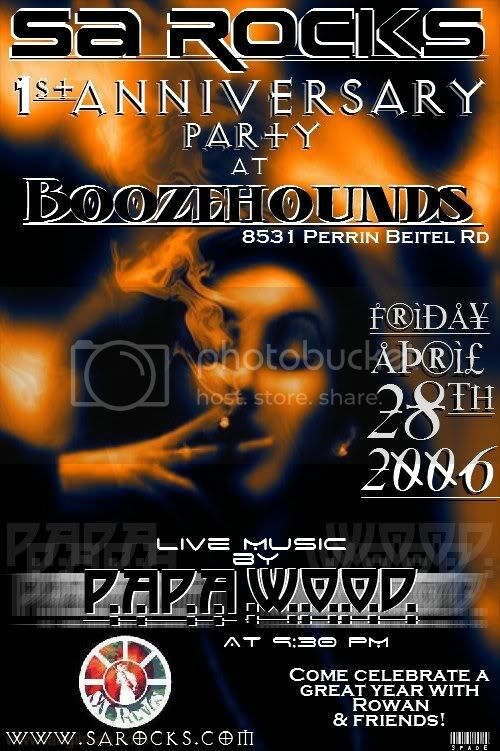 Let us know so we can bring the music to you area. The Killing Floor's "Daggers" Fans & Conceptual Site. 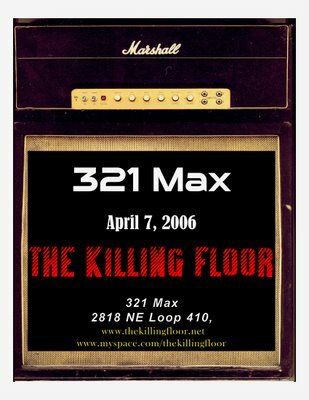 The Killing Floor's "Official" Band MySpace Site. ~Juan Carlos's MySpace Personal Page. Please click here if you would like to receive all emails from THE KILLING FLOOR, rather than only emails targeted to your geographic area. It does work so sign up!! The Killing Floor's Direct Email.